Now, with this healthy edible cookie dough, there's no need to sneak eating raw cookie dough. It's ready in a flash and is vegan, grain free, paleo, and sooo good! Whip some up for a treat that's sure to please. May I introduce to you, the temptation of the week–Chocolate Chip Healthy Cookie Dough. You're going to really thank me for this. And you're going to want to make it now and stuff it in your mouth, and maybe hide in the closet and eat it. And keep it all for yourself. This paleo cookie dough is literally our favorite snack right now. 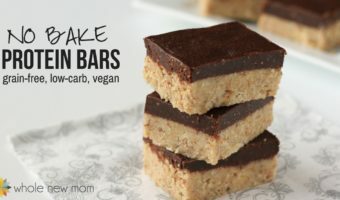 Now, we still LOVE these Green Bean Chips and Coconut Chips, and these Almond Joy Bars, I have to say that I think I knocked it out of the park with this healthy cookie dough recipe. 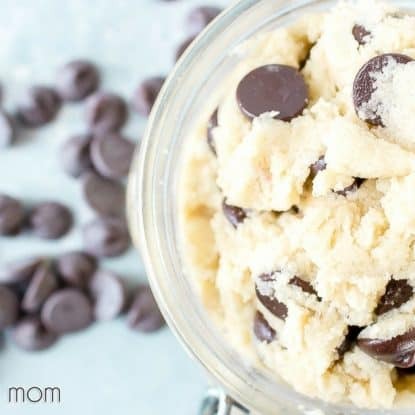 Not only does this edible cookie dough not have any eggs in it so you don't need to fear the dreaded salmonella, but this paleo cookie dough is seriously good for you. Most “healthy cookie dough recipes” out there either have grain flour or oats in them, or they are high in carbs. Well, carbs can be fine, depending on their source (you can read about my post on my thyroid disease healing to read more about that) but I am not a fan of eating uncooked and unsoaked grains (See How to Soak Grains). Soaking grains helps reduce phytates and makes them more digestible. But this paleo cookie dough recipe has no grains. None. It's full of healthful almond flour and organic coconut flour, and depending on what sweetener you use, it's low in carbs too. Our household is really busy. 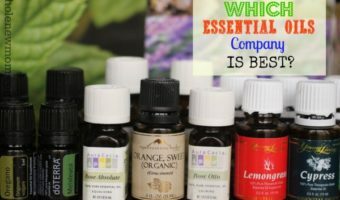 I run this blog and my husband is a busy professor, plus we homeschool and have special dietary needs and health issues we are always working on. (my oldest has life-threatening food allergies and had severe eczema as a baby) and well, let's just say things are hoppin'. So no bake easy recipes are king around here. 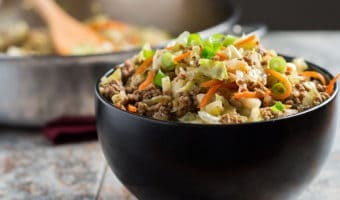 When we're running all directions, it's great to be able to whip up something easy and healthy that will fill up my growing boys (boy can they EAT!!) and not take me a bunch of time. I really don't like buying packaged foods–no matter how healthy they are, because frankly, they are expensive. 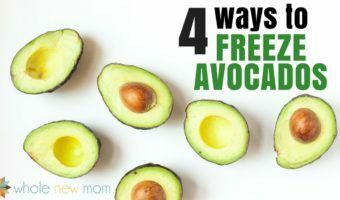 And due to my son's allergies, it's hard to find things that fit his diet, AND fit my frugal ways, AND pass my standards for being healthy enough. This vegan edible cookie dough does all of that. It's healthy, allergy-friendly (except for the almonds, which there are options for–), and it's pretty inexpensive to make, AND it's easy. I mean those videos of bloggers making edible cookie dough in their Kitchen Aid might look nice, but this mama doesn't want to deal with cleaning those beaters if she doesn't have to. This healthy cookie dough? Just mix and eat. Dangerously good, I say :). 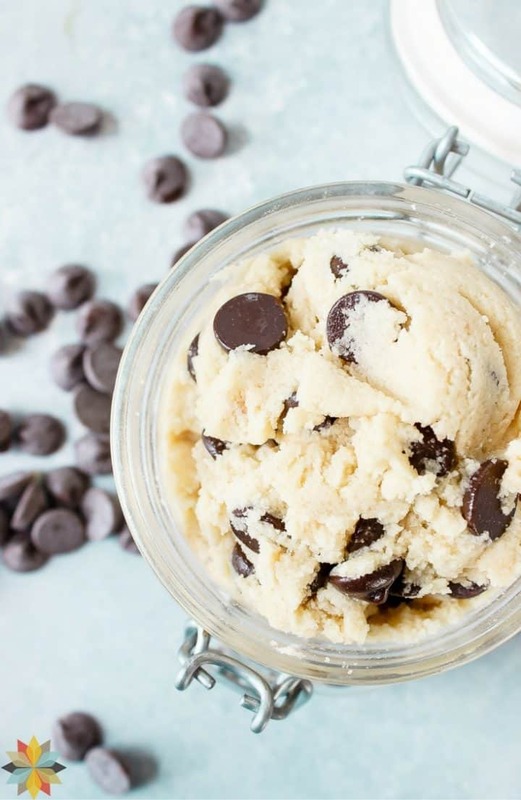 This edible cookie dough comes together so simply, you don't even need electric beaters, but you can use them if you like–because it's kind of fun to lick the beaters and know it's OK to do so, amiright? First of all, the recipe shows butter as an ingredient. I've made this with coconut oil also, but we love it made with butter butter. My son can't have dairy but he tolerates butter and, in fact, is supposed to eat it since he now can–once you are able to eat a food that you were anaphylactic to before, you are supposed to keep eating it to help your body keep recognizing it as an “OK” food. Anyhow, if you need the vegan version, please do use coconut oil, but if you don't need to avoid the butter, by all means use it. You'll be glad you did. Walnuts taste great added to this dough. I just wanted to keep it simple for those with food allergies. Typically I make a whole batch without walnuts and then portion off 3/4 of the dough and add the walnuts to that part so my son has his dedicated “walnut free” paleo cookie dough to munch on without worries of a reaction. For the chocolate chips in this vegan cookie dough, we have tried many options. The Kirkland Fair Trade Chocolate Chips were amazing. However, our local Costco isn't carrying them any longer :(. So we tried Nestle chocolate chips and I wasn't really pleased. The chips tasted kind of waxy to me, plus after I opened the bag I found that they had GMO soy in them–blech:(. In the past, we have also tried Enjoy Life Chocolate Chips, which are pretty good–they just have sugar in them so if you are eating a keto diet, they won't work. Then we tried Lily's. They look great and I love that they are low carb, but the taste really leaves something to be desired. So in my mind, if you are trying to eat low carb, making this paleo cookie dough with my Homemade Chocolate Chips is the way to go. The resulting dough might not be as pretty, but the chunks taste great in there. 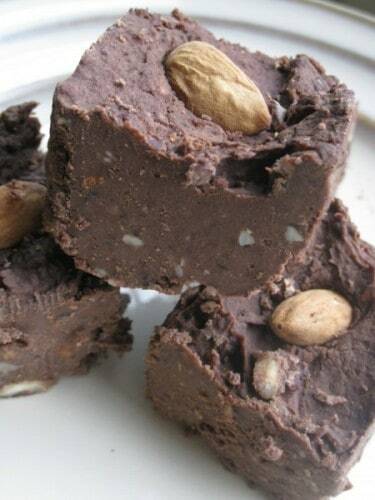 Add in the walnuts and you have an incredible easy no bake dessert. I have to say, we LOVE Kirkland's nuts. They are much more fresh than a lot of nuts out there. You can really tell. We've purchased nuts from Aldi and compared them side by side to Kirkland's. I'm not saying this to knock Aldi, because it's a great place to shop but if you are able to spend the extra on Kirkland's nuts–do it. You can serve this paleo cookie dough in little jars like these with a spoon (aren't they fun??). Alternatively, you could make them into little cookie dough bites similar to my Snickerdoodle Cookie Dough Bites. 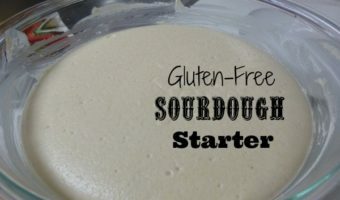 I do think I'm going to maybe work on making this dough a little more cookie dough bite-friendly to share with you later. This recipe seems possibly better suited to just eating as dough. And now–for the big question…. Can You Make Cookies Out of This Paleo Cookie Dough? You can do it. I plan on working on the recipe more going forward, but we tried it using the equivalent of 2 eggs and 1/2 tsp of baking soda, and the cookies didn't last very long. For the eggs, you could use this powdered egg replacer or alternatively you could use a flax egg, chia egg, or gelatin egg. This video shows you just how easy it is to make this Healthy Cookie Dough. No mixer needed–just the ingredients and a little stirring action…. Coconut Oil: You can sub in coconut oil for the butter if you like, but we love the flavor that the butter gives to the dough. Stevia: 1/4 tsp stevia is equivalent to 8 scoops stevia (see How to Use Stevia). If you would like to substitute another sweetener, 1 scoop (1/32 tsp) stevia equals 2 Tbsp of another sweetener. 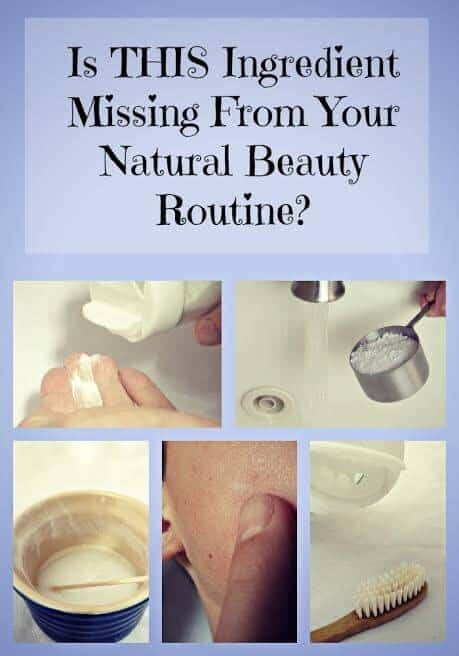 Sweetener: You can use whatever sweetener you would like instead of xylitol, but if you use something like organic coconut sugar it will affect the resulting color. AIP: For AIP, use Organic Tiger Nut Flour for the almond flour, carob chips for the chocolate chips, and coconut oil for butter. Use coconut oil instead of butter for vegan and paleo. Also use an AIP-compliant sweetener. Homemade Vanilla: If you would like to make your own vanilla, here is my recipe to do so. Homemade Chocolate Chips: My DIY Chocolate Chips are a great make-your-own option for chocolate chips. 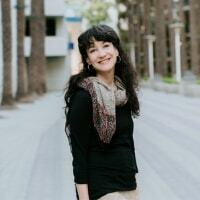 THM: This recipe is an “S” for those on the Trim Healthy Mama plan. So now on to the recipe…. 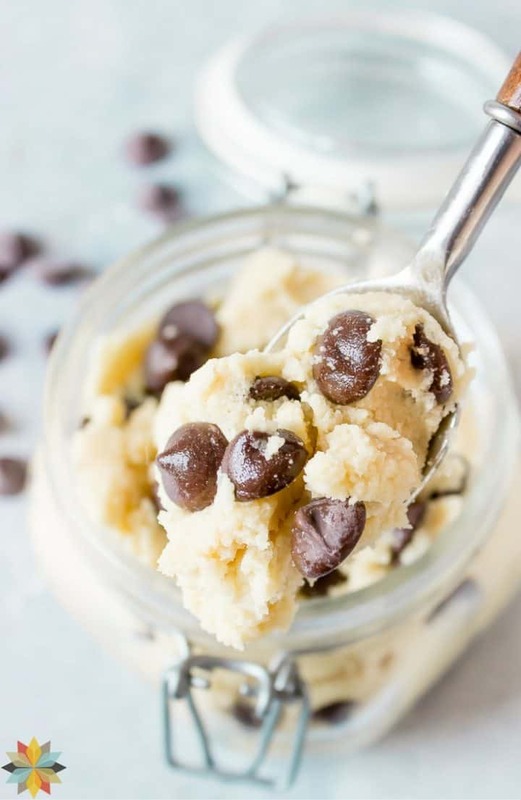 This healthy edible cookie dough is vegan, grain free, paleo, and sooo good! Whip some up for a treat that's sure to please! Soften the butter at room temperature. If desired, melting the butter will make it very easy to work with. If desired, powder sweetener in blender, to make the resulting product more smooth. Blend flour and sweeteners with the butter and mix well to combine. You can use an electric mixer if you like. Add in remaining ingredients and stir gently to combine. Get out your spoon and dive in! 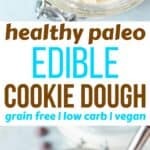 I guarantee you will be making this paleo cookie dough over and over again…..and eating it gleefully. You might even hide it from your kids :). 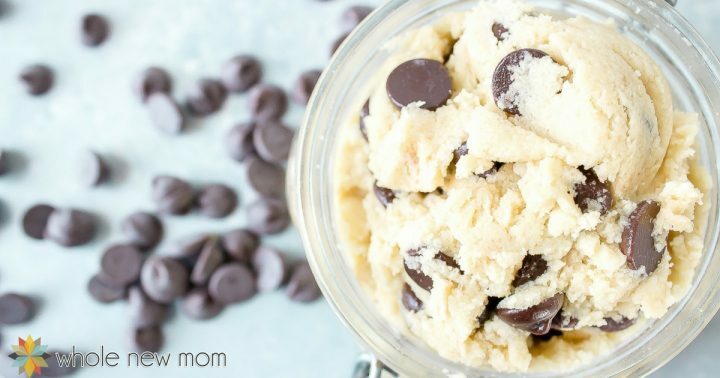 Better yet–make a batch of this healthy cookie dough and don't tell your kids it's edible. Then whip out a spoon and start digging in and see what their reaction is! So tell the truth…did you sneak eating cookie dough when you were little? Oh my goodness!! This is delish, and both my hubby and I say you nailed this one! Other than the grittiness from the xylitol, it definitely tastes like chocolate chip cookie dough!! I made a half batch since it is just the two of us, but I wonder about the serving size. . . There’s no way this would feed 11 people. LOL! Too small of portions and way too yummy!!! Hi there! Oh wow you made my day! I was even thinking I needed to make this this week and make some into cookies. So happy you felt that way! LOL about the serving size–how big would you say a portion should be :)? I’m so sorry it’s taken so long for me to get back to you!! Life!! I just made more today!! Such a scrumptious treat!!! I don’t think you’re far off on the portion size actually, but as soon as I put it in my mouth, it was so incredible that 22 portions just seemed way too tiny – I wanted the entire thing and couldn’t imagine portioning it out that small!! LOL!! It is super rich, so we stick to 1/4 of a cup or less and are super satisfied!! Truly such an amazing treat!! Do you think it would freeze? No problem of course! I’m behind responding to comments all the time! That’s great! I do think it would freeze fine – think about slice and bake cookies :). Does anyone know the carb count in say like a tablespoon of the dough? So sorry – we are working on getting this functionality up on the site but it’s taking awhile as we had to move each of our recipes one by one to the new system. Thanks for your patience! In the meantime you can use an online calculator that you trust, perhaps. Just made this- eating it now. ? I used 1 c. xylitol and it was too sweet and gritty, so I added more butter, almond flour and coconut flour until it tasted and felt more normal to me. I think I’ll try 1/3 c. of xylitol next time. I just don’t like the aftertaste I get with too much xylitol. Oh, and since sugar free chocolate chips are expensive and hard to find where I live, I used chopped 85% chocolate. ? Thanks – yes, chopped chocolate is a great option. I typically use my own Homemade Chocolate Chips–they taste great and are super simple to make. I thought I had it in the recipe, but you can powder the sweetener first which helps w/ the texture. Right now I’m not remembering if I have done that or not, but it should work out just fine. Hope that helps! Thanks for the recipe. 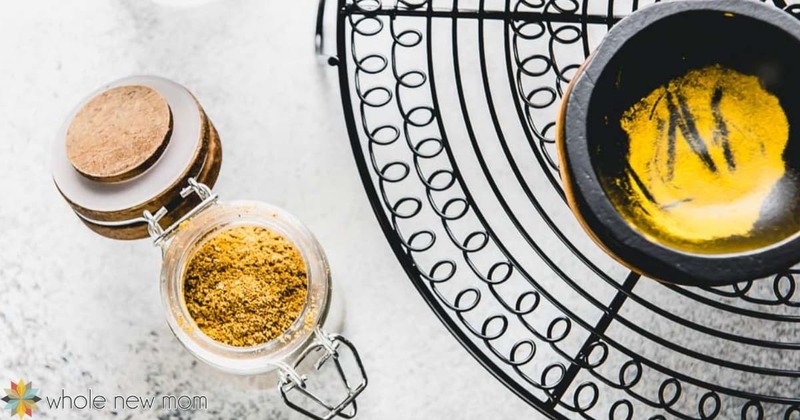 All I had on hand was coconut sugar and wanted to comment for anyone else who may be thinking of making the switch, we do not like the end result, sadly. Maybe it would be better with another sweetener but we won’t be making it again the same way. Thank you! What seemed to be the problem?